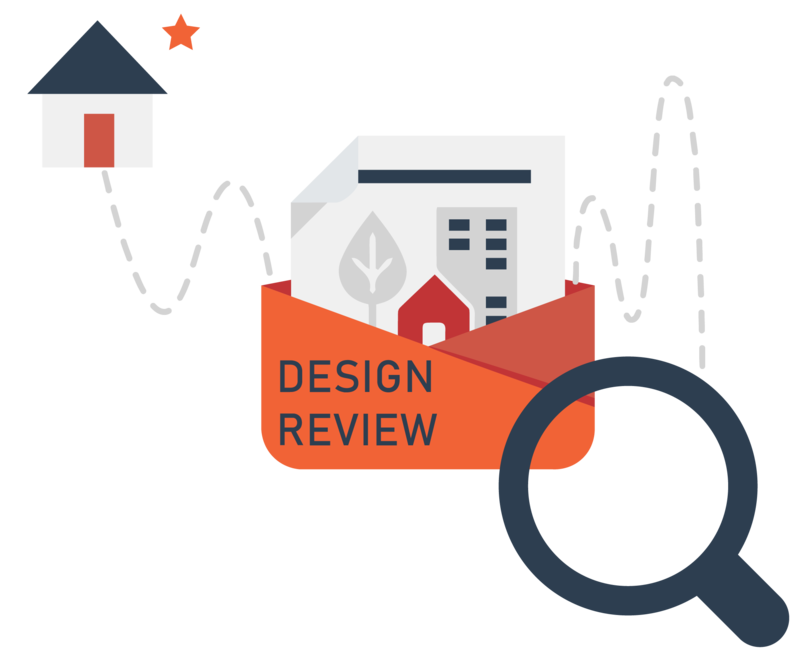 With the demise of national funding for design review from 2013, the landscape for design review has rapidly and fundamentally changed. From a public sector activity offered free of charge, design review is now typically a pay to use service delivered by a wide variety of providers. 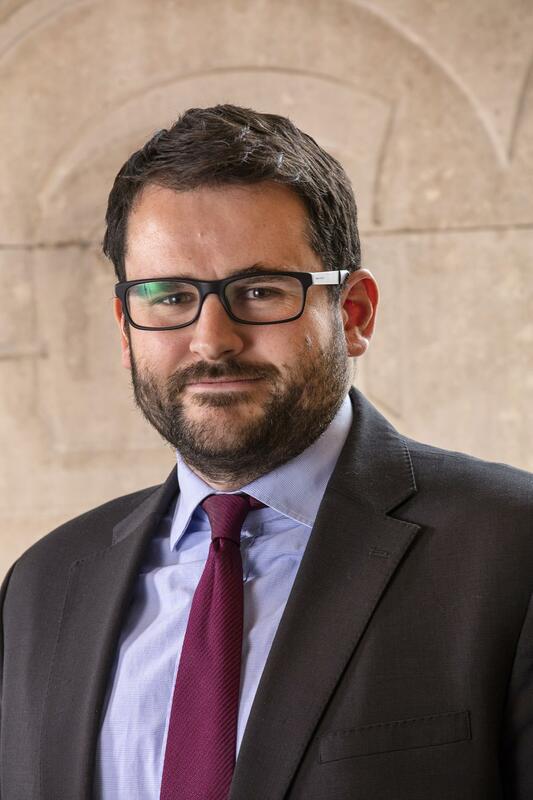 Despite this, the National Planning Policy Framework, the Government’s planning policy for England, continues to strongly endorse design review, The Farrell Review recommended that it might develop into a wider place shaping activity, and the House of Lords have called for design review to become mandatory. To help clarify the situation, or at least to begin the process of more openly and systematically debating it, in April the Place Alliance devoted BIG MEET 5 to a “National conference on design review”. We took a wide range of contributions from experts who had been or currently are involved in design review from a wide range of perspectives and from all the nations of the UK and beyond. Different aspects and challenges of design review were discussed in a lively panel discussion chaired by Leanne Tritton and featuring Dr Richard Simmons, Victor Callister, David Tittle Mary Laheen, Andrew Forth and Nigel Longstaff. Participants discussed questions relating to accreditation of Design Review Panels, the problem of panels not being public; and also touched upon the ways of bringing community engagement and DR together. Chaired by Ben Van Bruggen the afternoon session addressed the challenge of offering quality service. 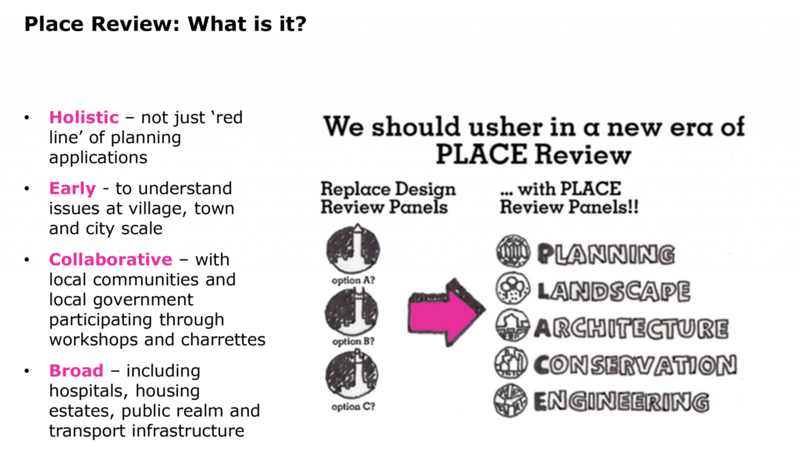 Is design review the right process for public engagement? Or should it be part of a suite? Placemaking is part of what local planning authorities do, cannot be devolved wholly to their consultants. How can the right balance be struck between advisers and decision-makers? Policy & Public Affairs Manager at RIBA. could be so much higher…confidence in development itself has been eroded by the too frequent experience of mediocrity”. Design review was one way of addressing the problem. 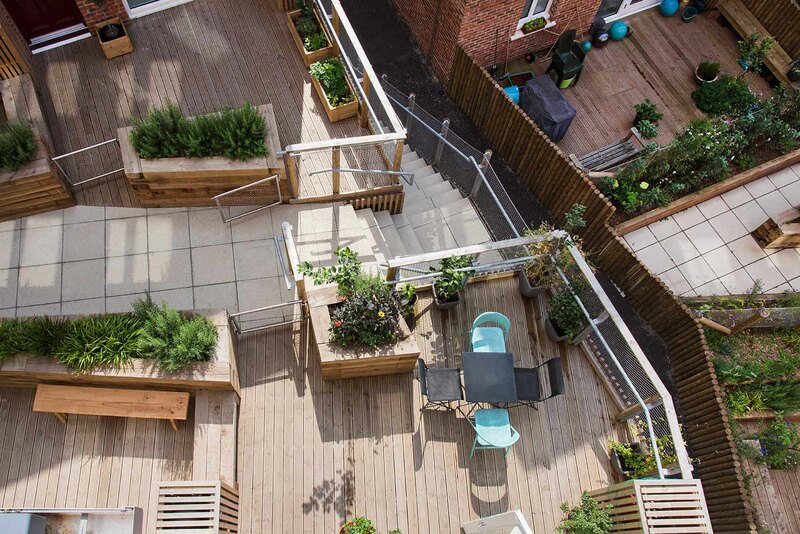 The creative role of design review was illustrated by a case study from Newcastle, where a brownfield site in the Ouseburn Valley had been redeveloped for housing. The scheme had been reviewed at outline and detailed stages. The review had challenged and encouraged the design team, by examining the practicalities of the scheme and not just the aesthetics. The built scheme had subsequently won a clutch of housing and architecture awards. 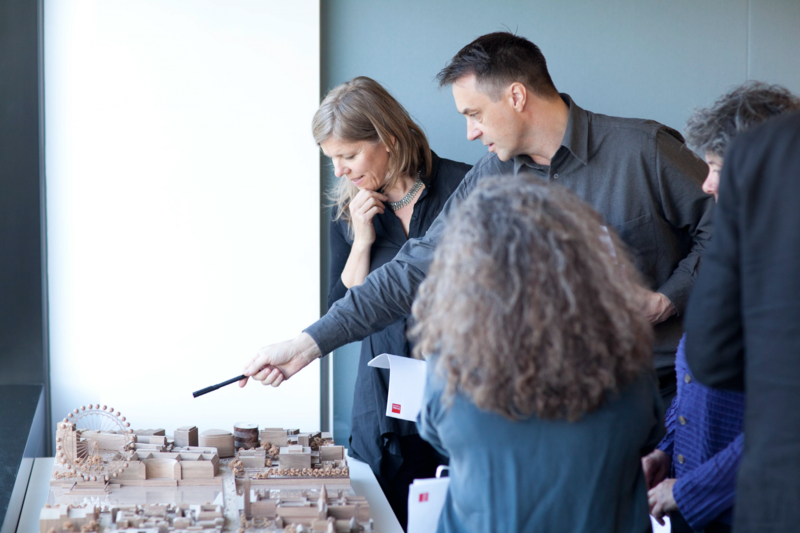 Visiting lecturer at the Bartlett School of Planning and the University of Greenwich School of the Built Environment, former Chief Executive of the Commission for Architecture and the Built Environment (CABE). 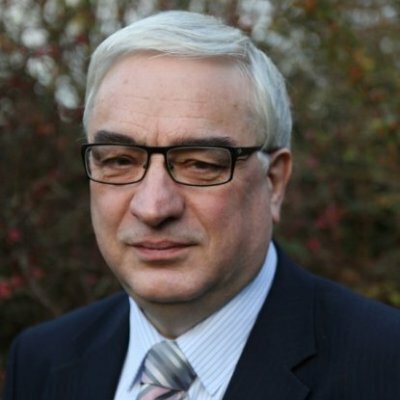 Richard Simmons reflected on his experience as Chief Executive at Cabe and on the changes that have taken place since 2012. In 2015 Simmons investigated all the extant major panels in England, looking at their operations and the guidance they worked to. All aimed to be constructive critical friends. Meetings are now longer and more all day, workshop-style sessions are held. Not all reports are shared with the local planning authority. CABE is no longer seen as the top tier or parent panel. Collaborative working and site visits are helping to support a greater local focus and knowledge. Simmons also noted a growing international dimension, with successful panels in South Australia, Boston (Institute for Human Centred Design, specialising in accessibility) and Tokyo. In a specially prepared short film, Ludo Campbell Reid and his colleagues outlined the work of the Auckland Urban Design Panel, set up in 2003. The Panel is playing a key role in the transformation of the city – helping it to be “beautifully reshaped”, in the words of City Mayor Len Brown. The Panel is supported by the Property Council of New Zealand in partnership with Auckland Council and reviews both public and private sector projects, including public realm schemes. There are also a range of sub-panels on themes like housing.